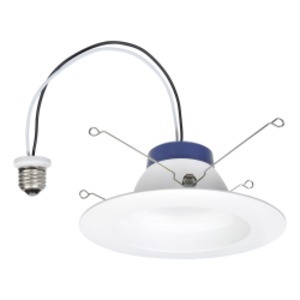 625lm 3000K LED recessed downlight kit replacing up to 60W incandescent suitable for 5" and 6" cans. Medium base socket adaptor included. Integrated white trim.